CLEAR Regular Strength Anti-Redness Exfoliating Solution with 2% Salicylic Acid immediately goes to work fighting mild to moderate acne. The lightweight texture leaves you feeling like there’s nothing on your face, yet delivers powerful anti-acne benefits all day or all night long. Ongoing use leads to significantly clearer, smoother skin without redness.... Also, I have to mention that I use this toner only when I double cleanse my face after removing the sunscreen. I try not to use the alcohol toner regularly. Instead, I use hydrosols or floral waters to dampen my skin before following up with my night skin care routine. I use the clean and clear for a morning face wash and use tea tree oil on my face at night, I was wanting to know if I should just keep that routine and just add in the COM or take something out. Also since you did the COM at night was there anything that you used in the morning for a morning face wash?... Directions Moisten cotton ball or pad with toner. Apply all over face and neck. Use twice daily as part of your 3 step cleanse, tone, moisturize regimen. Combine with CLEAN & CLEAR® Clear Fairness Cleanser and Clear Fairness Moisturizer for best results. Directions Moisten cotton ball or pad with toner. Apply all over face and neck. Use twice daily as part of your 3 step cleanse, tone, moisturize regimen. 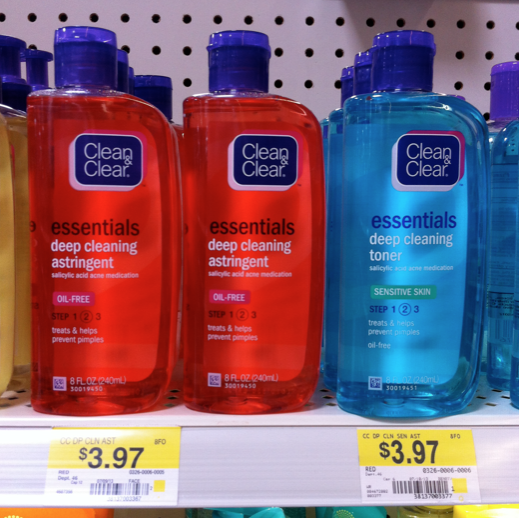 Combine with CLEAN & CLEAR® Clear Fairness Cleanser and Clear Fairness Moisturizer for best results.